The secrets of writing effective advertising copy. The lost art of copywriting. Are you a business owner who often has to write your own publicity material? Are you somebody who works in a marketing department, who is called upon to judge copy? Are you somebody who works in a marketing agency who hasn’t been taught how to write persuasive copy and would like to know how? 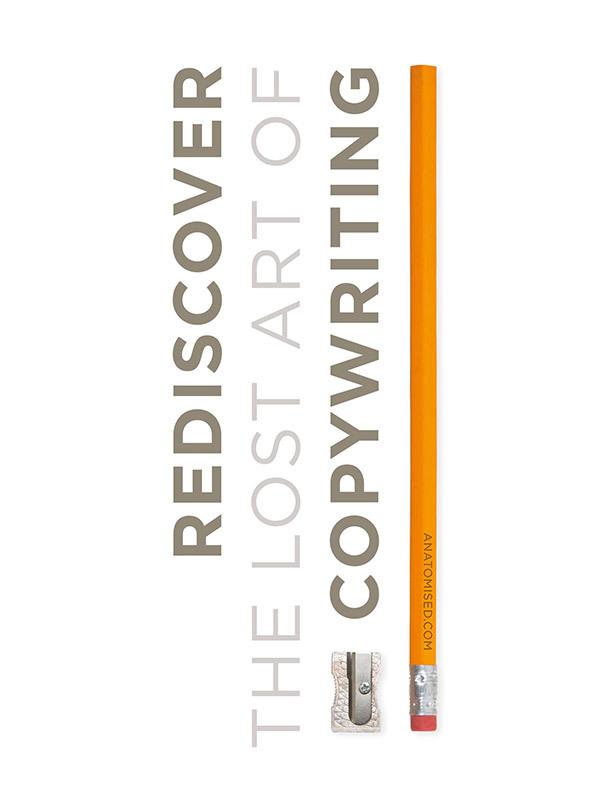 At Anatomised we’ve written a short booklet entitled Rediscover the lost art of copywriting and it’s available free as a download from this site. Its 24 pages reveal major rules and hints that will help you write effective advertising copy. It is filled with many examples of great pieces of copywriting, and even includes a further reading list. Within advertising it’s widely accepted that good, persuasive copywriting is a dying art. With any luck, Rediscover the lost art of copywriting will go some way towards helping to bring it back to life. Fill in the short form below to receive your copy. Is this the best-ever demonstration commercial for a car? Before they were thrown off air, Top Gear thought so. Here’s the story of how we made the film, way back in 1986.